What better way to spend Friday the 13th than getting scared at a haunted house? Each of the Halloween attractions below has announced they will be open for this spooky day and some will also be open the following day, April the 14th, 2018. 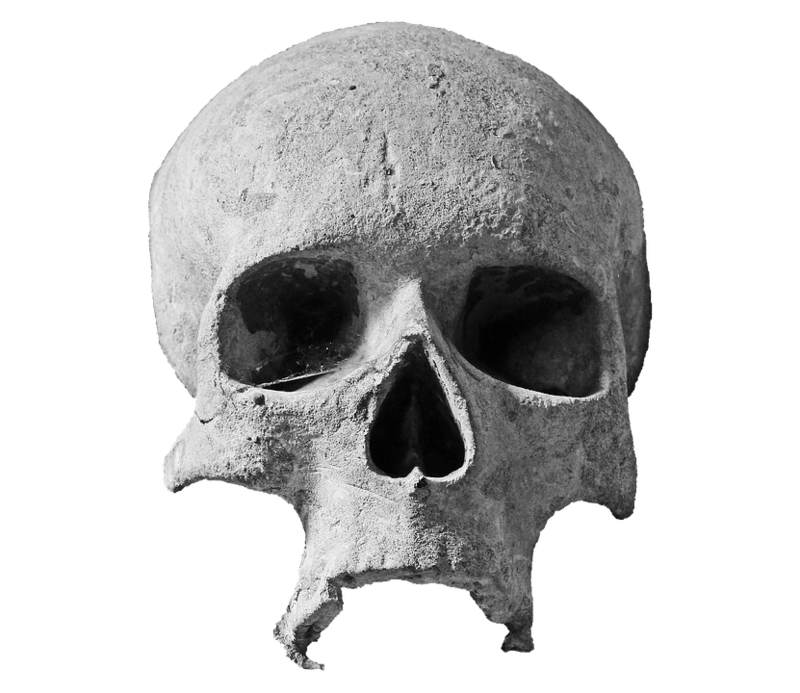 View our full list of year-round, holiday and Friday the 13th events here. Sign Up to get updates like this sent to your inbox. They will also be offering custom t-shirts and custom picture frames to help set the superstitious mood a bit more! 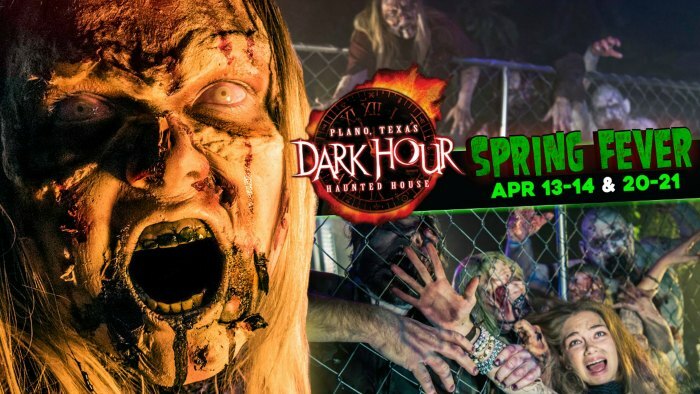 Yet ANOTHER one of the largest haunted houses in the world, Factory of Terror is open for various off-season events each year including every Friday the 13th! For this Friday the 13th, they are offering something a bit different… a face-to-face experience with familiar horror slashers! Who and what will you run into? Freddy’s knife-like fingers? Leatherface’s chainsaw blade or Jason’s infamous machete? We dare you to find out! Want updates like this sent to your inbox? ‘Nuff said… Sign me up! 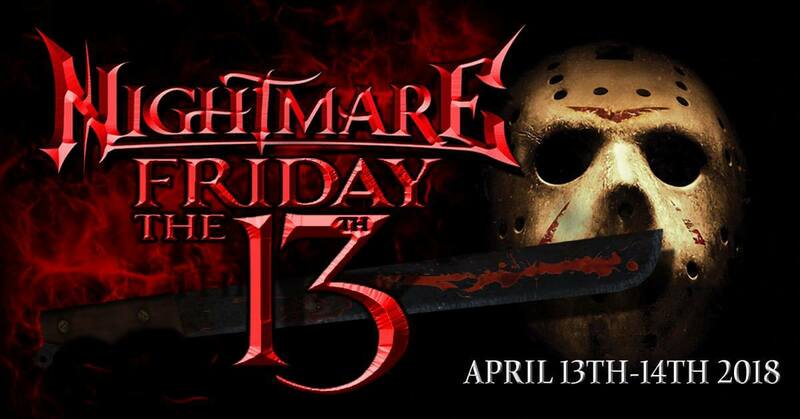 Rumor on the street is that there’s going to be one “HELL” of an event going on in Greenville, South Carolina in April on Friday the 13th this year. The “Abandoned Cabin” has something planned just for you. Customers will be going through the haunt BACKWARDS for this event. So even if you’ve been before, you haven’t seen things this way and you won’t know what to expect. 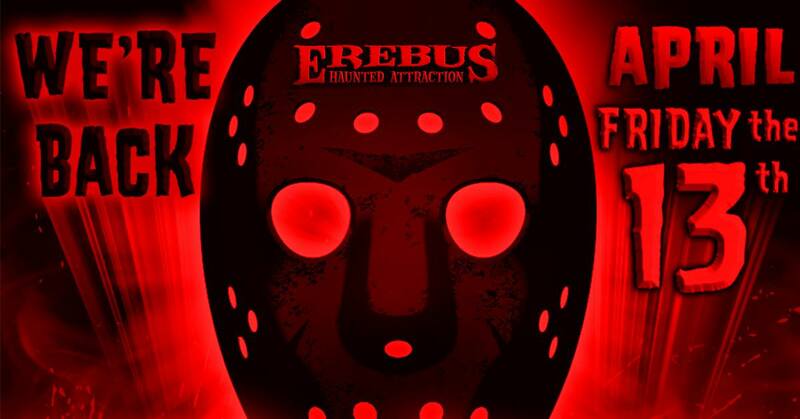 We also hear that Jason Voorhees will be lurking within the cabin and he shows no mercy. He will be able to touch, grab and torment victims how he chooses on his night. The special event will also be running April 14th. 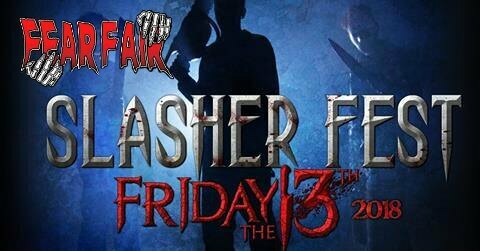 For one night only Fear Fair is bringing back some of your favorite horror slashers! On Friday the 13th, celebrate this superstitious day in the most horrific way by putting yourself face-to-face with these nightmares! Friday the 13th in April will be dark at Wells Township Haunted House. Waivers must be signed… all lights will be out… Good luck! 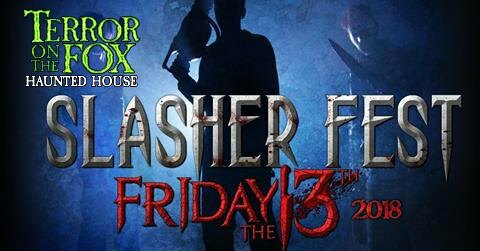 For one night only, April, Friday the 13th, Terror on the Fox will be celebrating in style by presenting “Slasher Fest!” “This slasher themed haunted house will feature all the slashers from your worst nightmares!” The famous Terror on the Fox train will also be open for this special event! 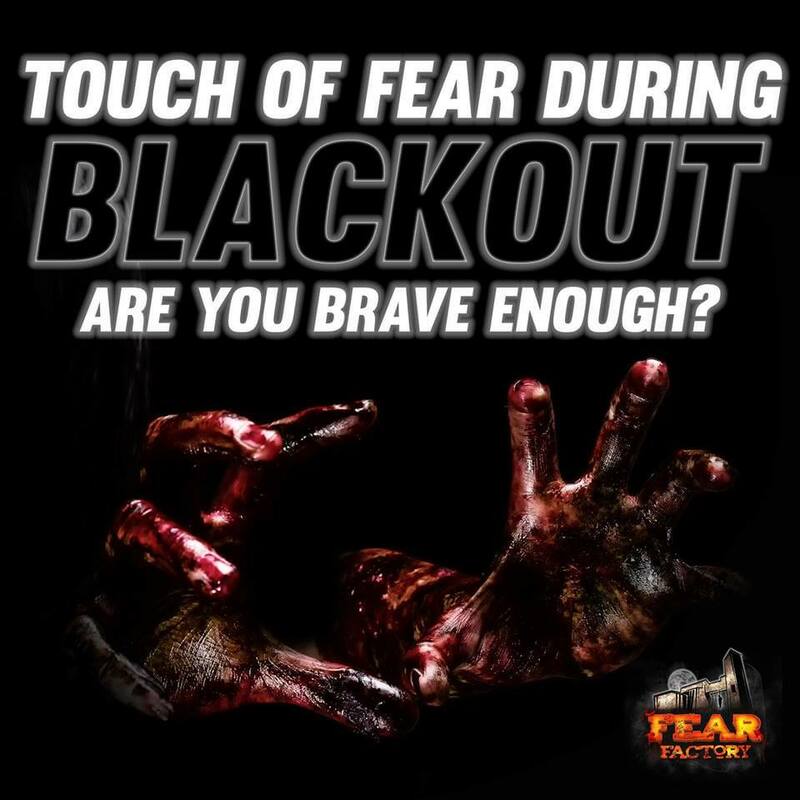 Fear Factory presents Friday the 13th “Blackout” on April 13th and 14th. 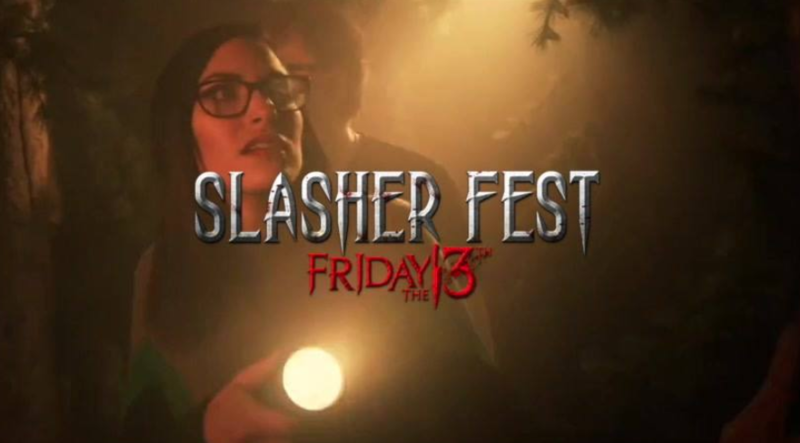 This Friday the 13th, “take a closer look inside Slasher Fest!” This is a Slasher-themed haunted house that will be coming to Denver in April on Friday the 13th for ONE NIGHT ONLY! 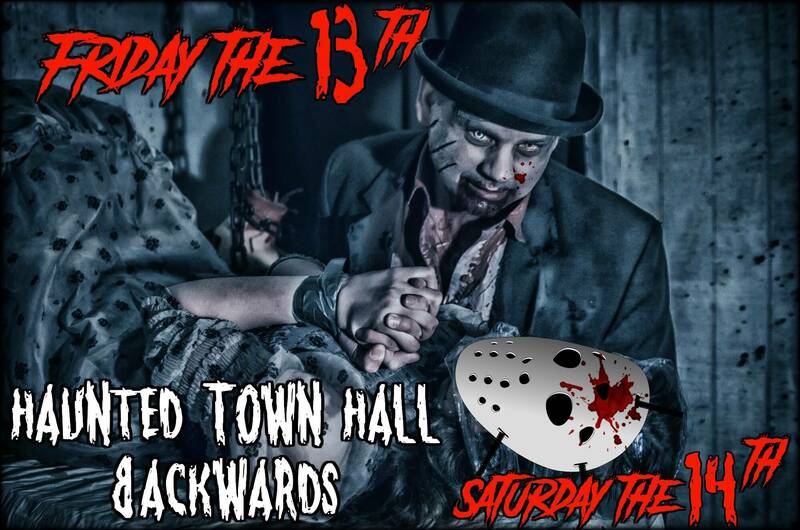 On April 13th and 14th, the Haunted Town Hall will have something special for their customers. You will be able to roam building BACKWARDS! Think you’ve seen everything here before? Think again! Enigma Haunt is throwing a Halfway to Halloween Party AND they will have the entire haunt open for a LIGHTS OUT experience on Friday the 13th! This event is open to a limited amount of guests. 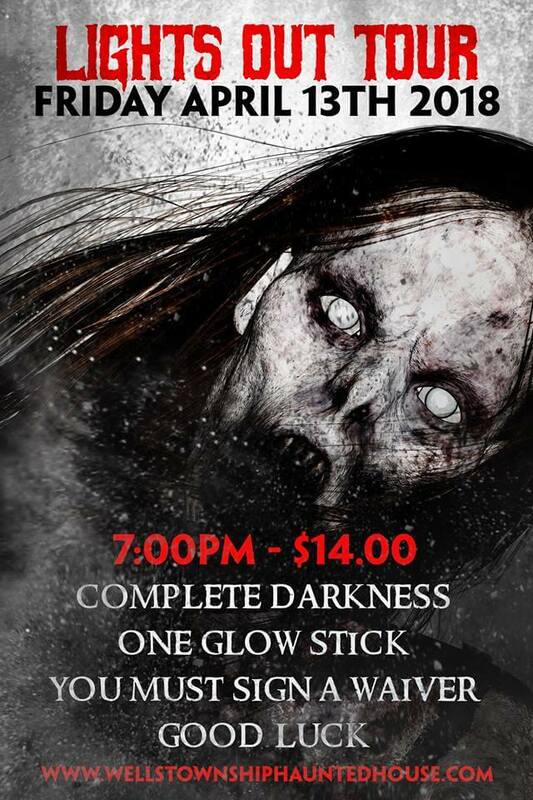 You will be required to sign a waiver and given one glow as your only guide through the dark. Guests must be at least 18 years old and show valid ID when purchasing tickets. 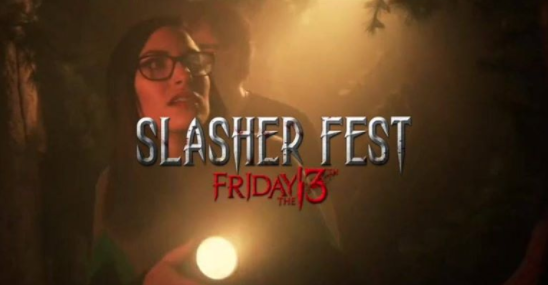 House of Torment will be celebrating Friday, April the 13th the right way this year by bringing to lift “Slasher Fest!” Face some of your biggest horror movie nightmares and prepare to play trivia to show how much of a horror film buff you are. The first 100 people to show up will get a free hockey mask! Prepare for Friday the 13th at Exit 13! Guests can choose to experience the event 1 of 2 ways. One is by choosing the all-age screaming good time and the other is by choosing the 18 and up **NATUS FULL CONTACT** experience. Which one will you choose? We have a much longer list of haunted houses open for Friday the 13th, including year-round haunted houses! Yes… Tell me more about Haunt Advisor! I’ve seen enough… Sign Me Up! Know of an attraction not included on this list? Let us know HERE.